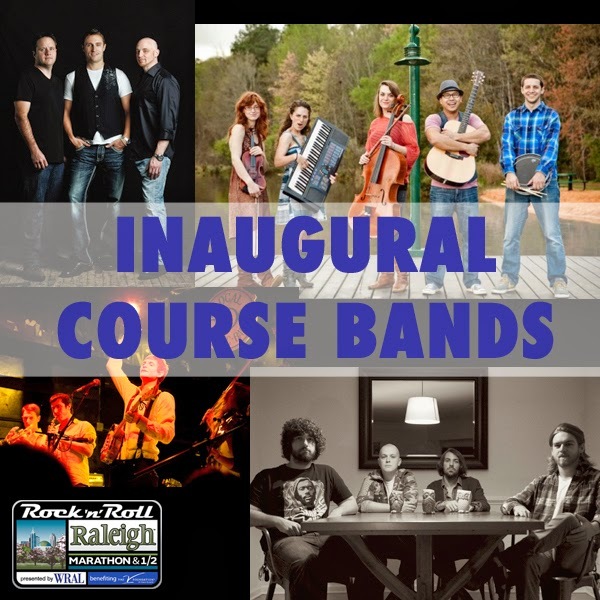 On April 13 over 12,000 runners will takeover downtown Raleigh for the 2014 Rock 'n' Roll Marathon. WRAL is hosting the race and proceeds will benefit the Jimmy V Foundation. This is a unique event that unites an entire community with local artists, cheerleaders, dance teams, and friends and families of the runners. Lining the streets of Raleigh to encourage those runners will be 29 local bands. The list is impressive and covers every type of genre imaginable. From the Americana sounds of Saints Apollo to Irish punk with My Three Kilts, all music lovers will be covered and the runners will stay motivated. This is great exposure for the local artists because 40% of the runners are from out-of-town, so they can see our beautiful capital city while listening to our expansive musical talent. Some of the landmarks to be seen on the course are the Governor's Mansion, Rose Garden, Pullen Park, Oakwood neighborhood, and the Daily Planet at the N.C. Museum of Natural Sciences. The marathoners will cross the finish line on Fayettville Street. See the complete listing of bands, locations, and play times here. Welcoming the runners and their fans at the finish line will be New Politics. 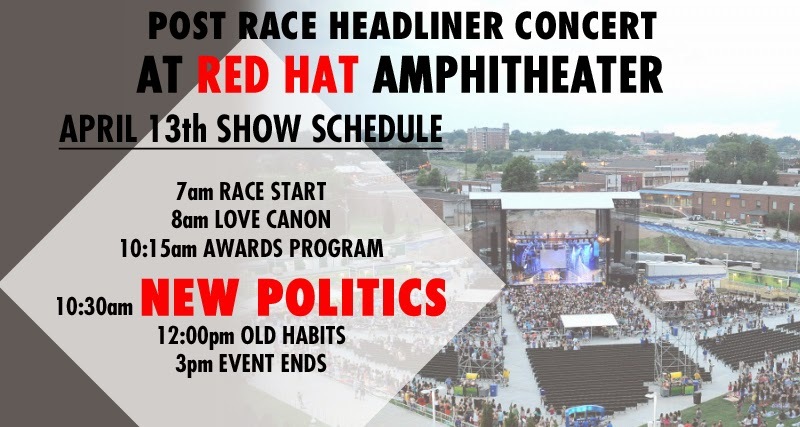 They are performing at 10:30 on the Red Hat Amphitheater stage. This group has had a successful year with a warm reception to their latest album, Bad Girl in Harlem. Between performing on Jimmy Kimmel Live and touring with Fall Out Boy and Paramore, this band is experiencing a whole new level of success. 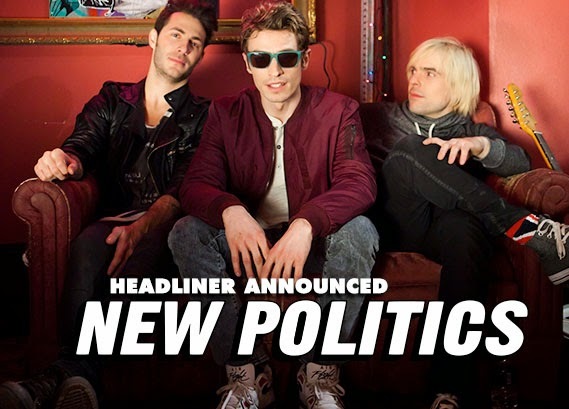 To read more about New Politics, check out our previously posted profile. Also performing on the Red Hat stage at noon is local southern roots band, Old Habits. This group came together in 2003 and has been playing around the Triangle ever since. An event this size wouldn't be possible without some community volunteers. There are positions available at the start line, the finish line, along the course, and at the Health and Fitness Expo. If you know someone in the race or want to help your community, consider becoming a member of the Race Crew. For more details, check out the Rock 'n' Roll Marathon website.